2014 has been one of the most transformative years in my life. I wanted to take a few minutes this New Year’s Eve to reflect on this past year, and look forward to the future. Please note, you can click on any of the links to see more in depth information. 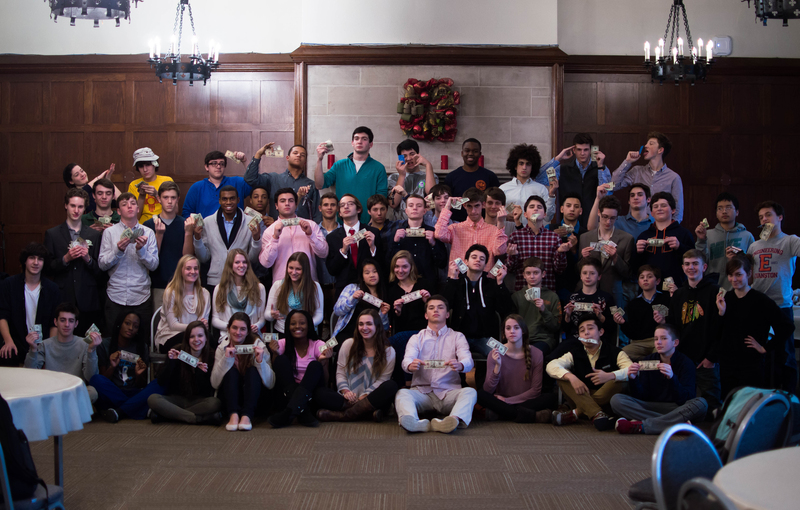 This year has been unbelievable for Investment Club. We continued to recruit new members and improve the content of our meetings. We also started a great lecture series. 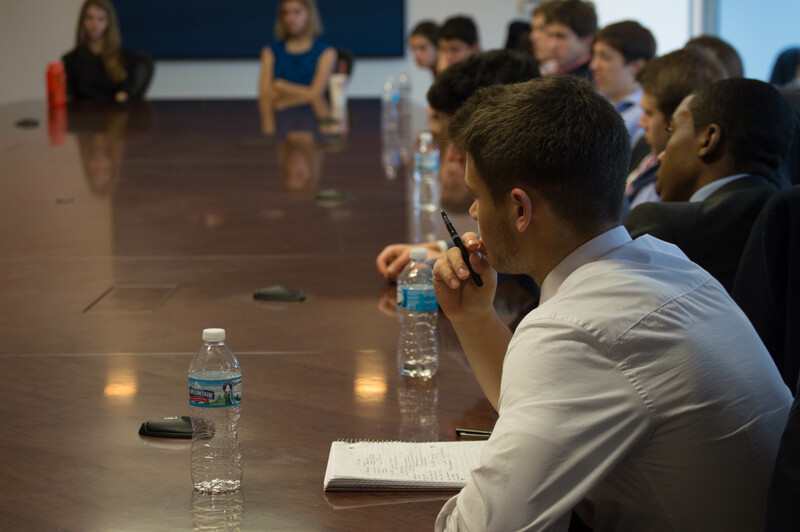 Beginning with Tom Sosnoff, a founder of Thinkorswim and the current CEO of Tastytrade, we launched our speaker series to expose our members to many different types of businesses and careers. Tom Sosnoff also encouraged me to learn options trading, which I have been teaching myself this year thanks to the help of Jason Sherman. We then visited CME Group, the Federal Reserve Bank of Chicago, and Ariel Investments where we heard from Founder and CEO John Rogers. In the fall, Harvard Business School Professor Steve Rogers (who challenged me to grow the club) spoke to us about raising money for start ups and valuations. Then, we heard from Troy Henikoff, the Managing Director of Techstars Chicago about the Chicago business environment (we saw him again at 1871). 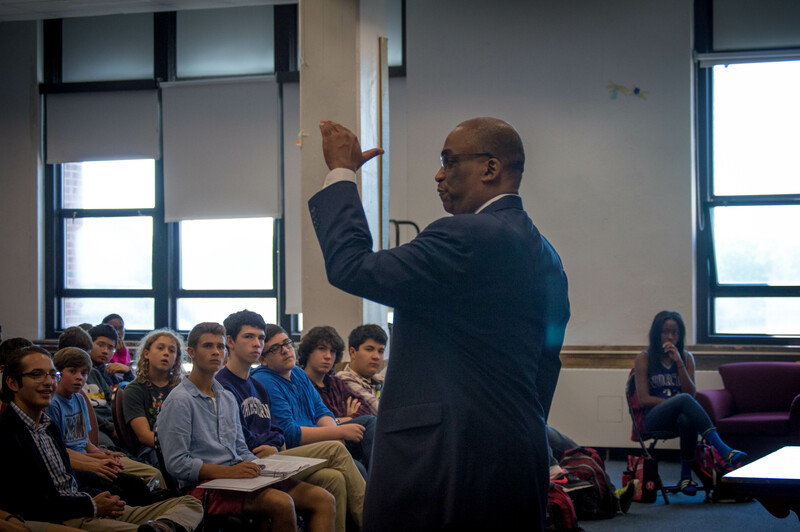 Northwestern President Morty Schapiro spoke to our students about college admissions and the economics of higher education. Gordon Segal, the founder of Crate & Barrel gave valuable advice from his experience starting a business. 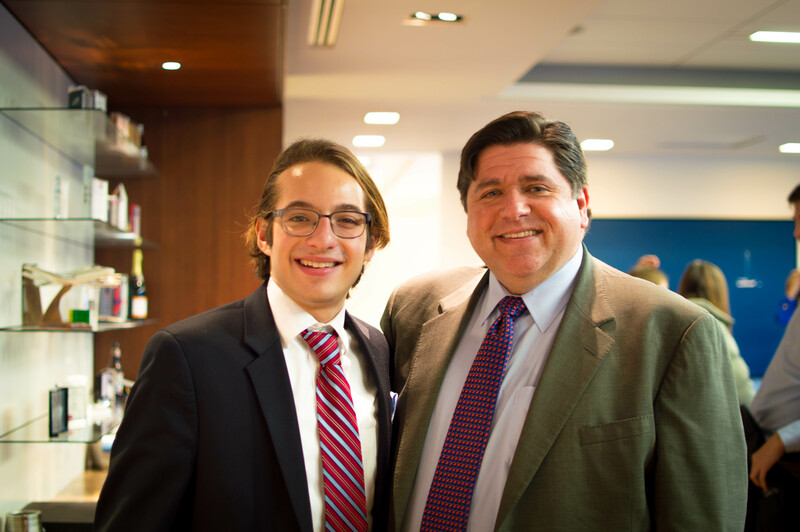 Our final speaker for the year was J.B. Pritzker (a blog post will be up shortly), a venture capitalist, entrepreneur, philanthropist and private business owner. The speakers we have had this past year really made me think about my future career aspirations. After seeing the love many of our speakers had for what they did, I decided that after graduating college I really want to try being an entrepreneur. After attending undergraduate business school, most students work in the financial industry (as I have previously stated I wish to do). Although they make a fair amount of money, most new analysts work 60-80+ hours a week for other people. I realize the risks involved in being an entrepreneur, but I would rather work 60-80 hours week on my own creation, something that I am passionate about. Second semester Junior Year and first semester Senior Year have been quite a lot of work. At times it has been extremely stressful, but I have worked hard to continue my good grades and get my college applications completed early. I have also enjoyed working as Vice-Student Rep with Mr. Campbell, the principal of Evanston Township High School on ways to improve our school. Currently, we are working on allowing students to clear detentions with community service, no homework weekends once or twice per month, and instituting Wildkit Student Discounts at restaurants around Evanston. Obviously college has been a large part of this year. This spring I visited 14 colleges during spring break (I think I set some sort of school record). I spent a lot of time during my Junior year preparing for standardized tests, and began my college applications in mid-August. It has been quite a laborious and sometimes tedious process, but soon I will bear the fruits of my work. 2014 was a great year for travel. Over the summer I visited my friends Ellie Randolph and Anna Brush in Virginia Beach, who showed me a great time. 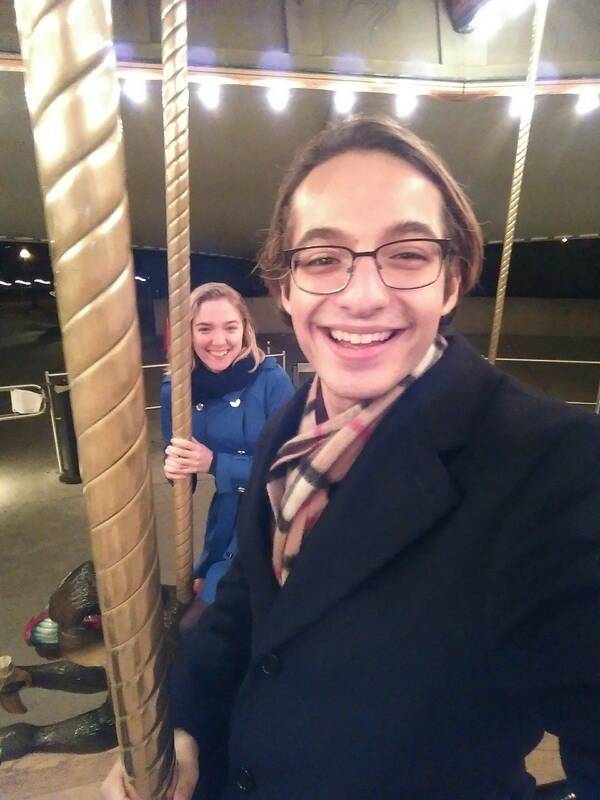 I also went on a three week exchange to Germany with my German class. 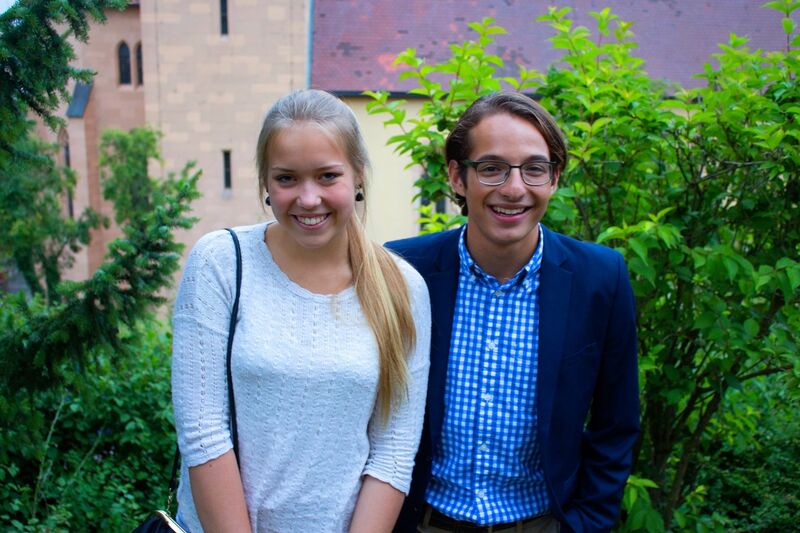 I had an amazing exchange student, Anna Martin. After I got back, I applied to restore my German citizenship (my mother’s family, all German Jews lived in the country for centuries). I was very happy to learn that my application was approved, and beginning early next year I will have dual citizenship! During winter break, I returned to Club Med Sandpiper Bay to relax for a week. I love the resort because I get to meet people from all over the world. I hope to be back next year. Shoutout to Boaz, Jonah, Noah, Georgia, Olivia, Ross, Mai, Claire, Charlie, Marc-Antoine, and Pauline! I also wanted to highlight two other great things that happened to me this year. 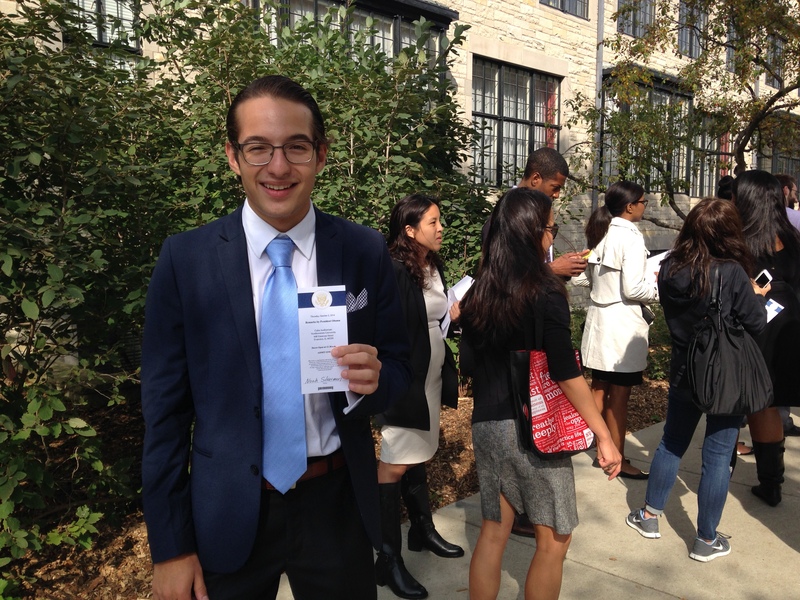 First, I was lucky to see President Obama speak at Northwestern University. It was so amazing to hear the President of the United States speak only a few blocks from my home! I want to once again thank Morty and Mimi Schapiro for this amazing opportunity. Waiting in line with my ticket. It was quite sunny! I also wanted to thank my beautiful girlfriend, Peggy Giordano, who challenges me to look up and smell the roses. It’s been great spending the year with you! 2014 has been amazing year, possibly the best in my life. Here’s to 2015!